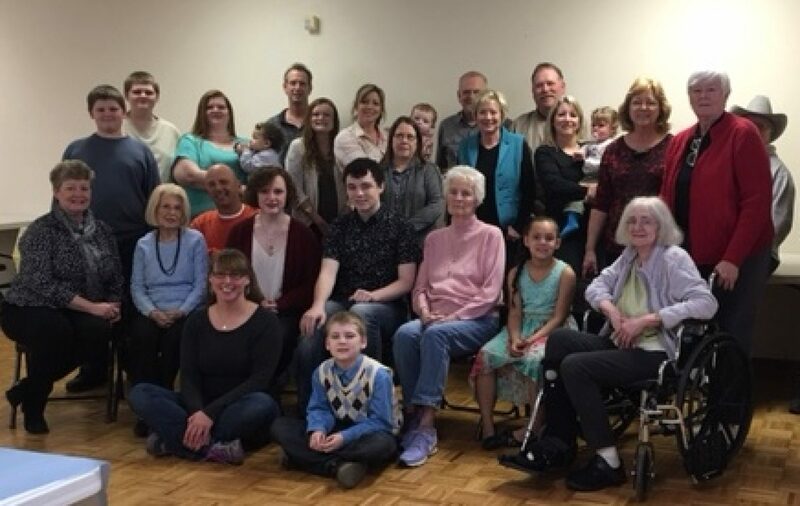 The picture above shows the entire family gathered on February 19, 2016 to celebrate Mom’s 86th Birthday. That was before a whole series of life events accumulated and began to rain on all of us (like life has a way of doing). The last four years have been a roller coaster ride of loss, pain, challenge and blessing. Dad was diagnosed with esophageal cancer early in the Summer of 2012 just after Laura Grace graduated from Sumner Academy of Arts and Sciences. Life altering events both. Having just moved back to WYCO in September of 2011, I was perfectly positioned to be helpful driving to doctor appointments and treatments for the next three years. And he had quite the battle and journey of his own taking 30 days of daily radiation while wearing a 24/7 chemo bag and getting full infusion chemo treatments once a week. There were several hospital admissions and day surgeries to stretch his esophagus open a little further and to keep his feeding tube clear and open into his stomach. He fought hard and Mom became the perfect nurse administering the feedings through the tube four times a day complete with flushing the tube and cleaning him up. But it got hard in March of 2015 when his heart began to weaken. Mom had her own hospitalization and at one point they were side by side in rooms on the cardiac floor of the hospital. They became known as the “love birds” with their 65 year marriage the talk of all the hospital staff. He lost his fight on March 31st and Mom began her journey alone.